Meteorology Services Department Zimbabwe has announced that cyclone Idai that has left a trail of destruction has started weakening and drifting further away from Zimbabwe and warmer conditions are expected in the affected parts of the country. “Light showers are still possible over Mashonaland Provinces and parts of Manicaland,” Met Service Dpt Zimbabwe posted on their Twitter account. 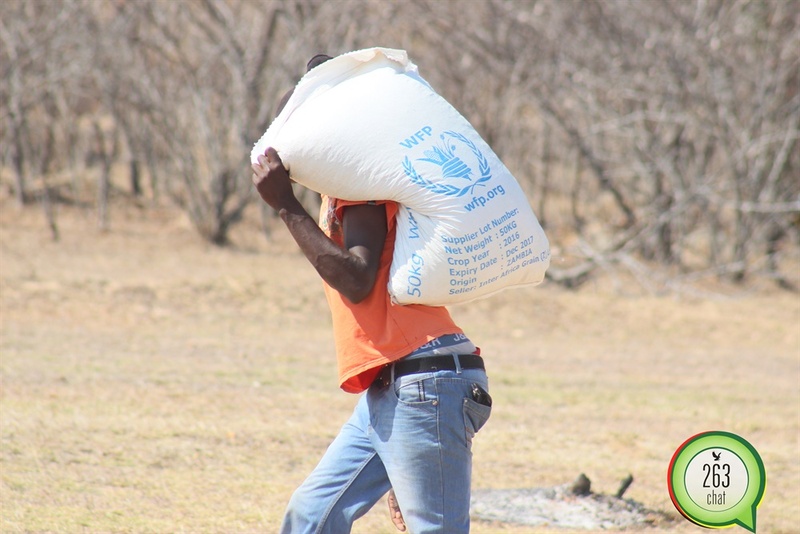 In light of a devastating tropical storm that has swept away bridges and homes in eastern Zimbabwe, a number of organisations and individuals have joined hands to assist the victims of cyclone idai. Among the organisations, Econet Zimbabwe also come on board to assist those affected by providing an EcoCash biller code 320041 merely for donations. In case of emergencies one can simply dial 112 or 111. Another option they have that one can take when wanting to make a donation is by visiting their nearest Econet shop to drop their donations. At least 82 people have been killed and dozens are missing in parts of eastern Zimbabwe after the country was hit by tropical cyclone Idai which also lashed neighboring Mozambique and Malawi. Aleck Macheso and Jah Prayzah have also joined the nation in assisting victims of the cyclone. ” As Red Cross Humanitarian Ambassador, my thoughts are with the victims of Cyclone Idai,” said Aleck Macheso on his Twitter account. Cyclone Idai has also cut off power and communications in parts of Manicaland province on the border with Mozambique. The cyclone has affected more than 1.5 million people in the three southern African countries, according to the United Nations and government officials. Homes, schools, businesses, hospitals and police stations were destroyed. Roads were washed away and thousands left stranded. MOConvoy of Hope is preparing to deploy a team to Zimbabwe ,Malawi and Mozambique in response to Cyclone Idai. Our team will be providing food and water filtration systems to those affected, as many of the clean water sources have been compromised. Zimbabwe’s Ministry of Information, Publicity and Broadcasting Services said on Saturday that the deaths were mainly from Chimanimani East, including two students, while at least 40 other people have been injured. It added that the Zimbabwean national army was leading rescue efforts to airlift students from a damaged school and others trapped by the storm. Telone has donated medicines worth $100 000 and some food and material provisions to the affected communities. Joshua Sacco, a member of parliament in Chimanimani district, said at least 25 houses were swept away following a mudslide at Ngangu township. “There were people inside,” he commented. “The information we have so far is that over 100 people are missing,” said Sacco. Ministers July Moyo, Oppah Muchinguri-Kashiri, Sekai Nzenza Biggie Matiza and Perence Shiri are currently in Manicaland responding to assess the effects of the Cyclone.